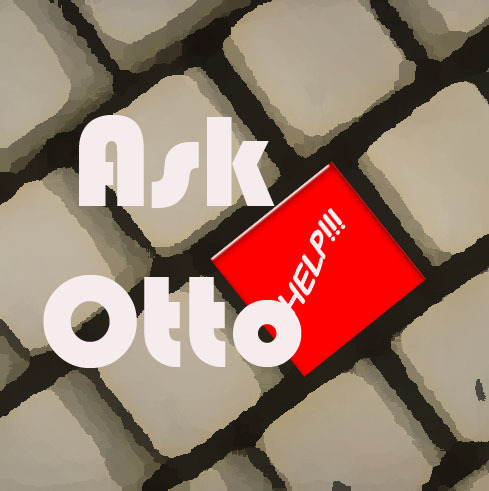 Dear Otto: What iPad Apps Do You Recommend? Do you have a tech question? about teaching tech. If you have a question, please complete the form below and I’ll answer it here. I use only first names. Q: Hi, I teach 8th grade Physical science and next year all of my students will be issued their own ipad. Any tips on how to find good apps and examples of lessons that use the ipad? Thanks! A: There are any number of websites that promise a list of iPad apps for education. Some are free, some not and in my experience, they’re particular to a teacher’s interests. Instead of those, I’d recommend going to the Twitter hashtag #ipaded. This stream highlights realtime iPad apps that are recommended by active educators. For example, there’s one called SimplePhysicsyou might enjoy. Appolicious: probably the largest collection of reviewed apps – well worth a look! iPad Apps used in school–the list Tony uses. I love it. What iPad apps do you recommend? Tags: apps, ipad. Bookmark the permalink. Love some of the App names! I don’t have an iPad, but am growing increasingly keen to get one! I love my iPad–actually, my husband and I share it so we call it an ‘rPad’. It’s better than a Kindle for reading books. Sorry this is off topic. I have been following you faithfully for almost a year and respect you expretise and opinion. I have a question for you. I am writing a paper (for my master’s in educational technology) on the use of wikis in classroom settings and need to research any findings on student achievement. Do you know of any studies that have been done that documents student growth? This seems so tough because wikis are used for so many things and are often collaborative. Thank you for taking the time to think about this for me. Ah… That is tough. I don’t have an answer for that one. They’re great to encourage interaction and communication. they’re wonderful digital portfolios to assess student progress over time. I know all this anecdotally, but not statistically. I’m sorry. I have a colleague over in Texas who might be better tuned into that–Sandy. You might also try the folks over at iLearn. They seem to know a little bit about everything.